Jeff Plush, commissioner of the National Women's Soccer League, wants to keep you interested in women's soccer beyond just the World Cup. "We had over 50 players from 10 countries representing the NWSL at the World Cup," he said before Sunday's stirring win. "The key thing is making sure the marketplace understands that so many of these players are playing in our league." A former managing partner at consultancy Helium Sports Group, Plush also served as managing director of Major League Soccer's Colorado Rapids and spent six years on the MLS board of governors. Next up for NWSL: a major TV deal is in the works. Adweek: What marketing challenges are unique to the NWSL? Plush: It's not about comparing it to a men's league or MLS. The bigger challenge for us is it's only our third season. We want to make sure the marketplace knows there is an authentic product available. That will take time and effort, and certainly we'll spend time marketing individual stories, whether it's some of our national-team players or other stories about individuals who weren't playing in the World Cup. Are there lessons you learned at MLS that you apply to the women's league? It's important to stay the course and have a lot of conviction in what you're doing and why you're doing it. When I first became involved with MLS, a lot of people asked, "Is soccer going to make it this time around?" No one asks that question anymore. It's more, "How big is it going to get?" What's new for NWSL in the way of marketing? We have created with the National Mango Board a campaign involving all of our clubs. The league is promoting our new partnership with them as "The Official Superfruit of the NWSL." We worked with U.S. Soccer [one of three federations, along with Canada and Mexico, that has a partnership with the NWSL] to support the U.S. women's national team using the "One Nation. One Team." campaign popularized during last year's men's World Cup. Could the NWSL benefit from EA Sports adding women players to its FIFA video game? It's a fantastic step in the right direction, because that decision wasn't entirely popular everywhere. It goes back to conviction and real integrity about what they are trying to accomplish. For them to do this adds a level of credibility. It has the potential for us to use this as a springboard to promote and grow women's sports and women's soccer in particular. This year, we've added both the National Mango Board and Coppertone to join our partners like Nike and the U.S. Soccer Foundation. 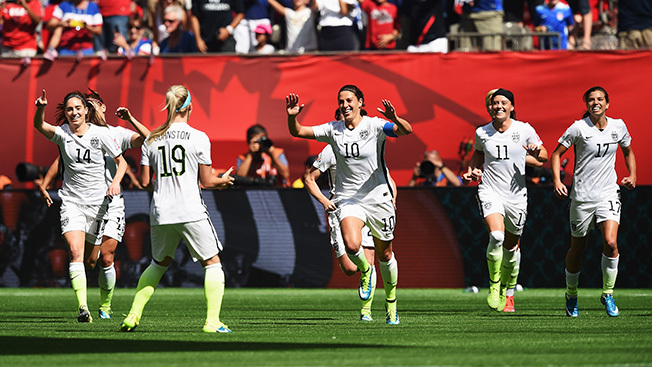 Building upon a very successful Women's World Cup, we'll be able to grow our sponsor roster. 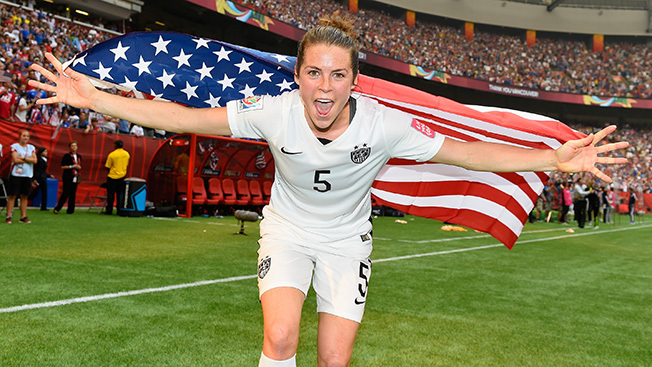 Abby Wambach is a legend, but does the league need to create more stars for impact? It is not our job to create them, because the players create themselves. They do all the heavy lifting and hard work to become the type of players that are marketable. The local market relevancy is more important than anything, but we will certainly help market those players hand in hand with the clubs.